Thanksgiving can be stressful. Family, lots of food, and football can lead to a very long, noisy day. If you are in charge of the Thanksgiving meal then you might wonder what is the perfect wine for your meal. While my philosophy has always been to eat what you like and drink what you like, there are some really great pairings for a turkey or ham dinner. For me, I prefer a rose’ with ham and turkey. 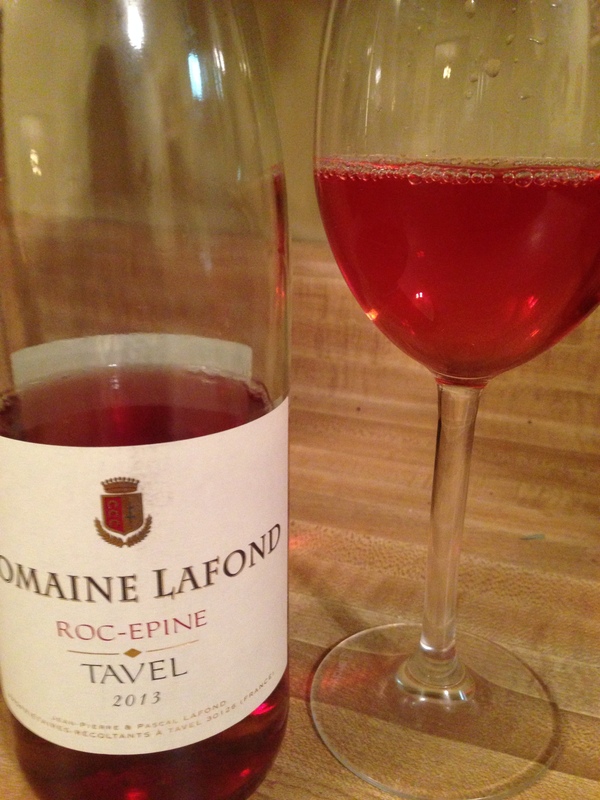 I recently bought this bottle of Domain Lafone Tavel 2013. Wow!! When I opened the bottle, I immediately smelled watermelon. And the color is outstanding. I paid about $17 for this bottle. It won’t make it to Thanksgiving dinner. Because I’ll have it gone before then!! 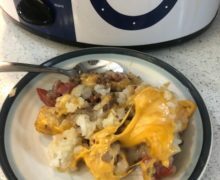 As a hog farmer, we normally eat ham for Thanksgiving. So I normally look for a wine that will match a nice ham. The spice and berry flavors this wine exhibits will be a great match for your ham. 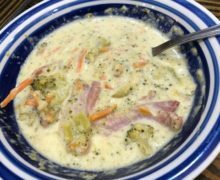 But it is flavorful enough to pair with a citrus-brined turkey as well. Grenache 60%, Cinsault 10%, Syrah 10%, Carigna 5% and with Clairette, Picpoul, Bourboulenc, Mourvèdre. 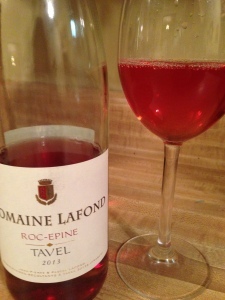 The LAFOND DOMAINE TAVEL is characterized by a lovely pure tender pink colour. The predominating aromas are complex: red and white fruit associated with floral notes. With time, these fruity aromas will evolve toward more mellow notes with a touch of spice and stone fruits, and the colour will take on amber tints. As of its first year, it disposes of all the necessary aromas to be appreciated, but it also has an exceptional ageing potential. Even if you think you don’t like rose’ or that your guests will think it’s too girly, I encourage you to try a bottle. 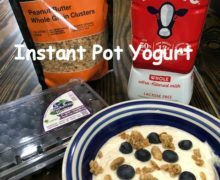 Your guests will be pleased! Great advice! I would have never thought to pair a rose with pork or turkey. I’ll have to convince my “manly” man to give it a try 🙂 Happy Thanksgiving!